A leader in real estate investment and education. Melina Boswell has been self-employed in the real estate industry for the past 10 years. Currently, she is a realtor. Not just any realtor. In fact, she doesn't act as a typical realtor working for commissions - just representing sellers and buyers. She focuses on helping homeowners avoid foreclosure. Given the recent downturn in the economy, many homeowners have found themselves struggling to keep up with their mortgages. Melina has gone to work and put together a team dedicated to helping homeowners. Over the past 8 years, Melina and her team have helped hundreds of people. Her passion to help people is not just related to work. It's who she is 100% of the time. In fact, with her being self-employed and able to control her time, she can pursue her passion to help others. She uses her talents to volunteer her time serving on the Board of Directors for the local homeless shelter (thepathoflife.com). She previously sat on the board of another non-profit that focuses on providing medical services to the homeless. She is the co-founder and head trainer for New Wealth Advisors Club - a real estate investment club in Riverside, CA. She loves to empower individuals through the power of real estate investing while teaching them to always serve others first. Melina wears many hats each day. Primarily she works at New Wealth Advisors Club as the head mentor. Her vast knowledge in real estate has afforded her the opportunity to be the go to person inside the club. Whether she is dealing with students and members or directly with homeowners, every day she is involved in some activity related to real estate. Melina has the unique ability to connect and empathize with people no matter where they are or what they are dealing with. It’s a demanding position but one she fully embraces. Melina is Christian with a deep faith in God. This faith has led her to volunteer in many areas of her life. Not only by serving in official capacities as a board member on non-profit boards but she has been recruited by countless organizations to speak for them and help to mentor others. Cal Baptist University in Riverside recently asked her to help mentor seniors graduating from CBU in entrepreneurship. She spends countless hours helping others. She does extensive fund raising and “drives” (diaper drives, sock drives, sacks of love for the homeless, etc.). Wherever there is need, Melina is constantly volunteering to head up the effort to help the cause. Melina is married to her best friend and business partner, Dave Boswell (co-founder of NWAC). They have been together for over 20 years. They have two sons, David, 26 and Andrew, 23. They have been blessed with two grandchildren, David, 6 and Trinity, 2. One of Melina’s greatest joys in her life is her grandkids. Melina and Dave have spent the over 10 years going to countless seminars, webinars and the latest guru type training in hotel rooms around the country. They have always known that education is a key component in being successful in real estate. They have worked with some of the industry’s greatest minds to develop an education system second to none at New Wealth Advisors Club. 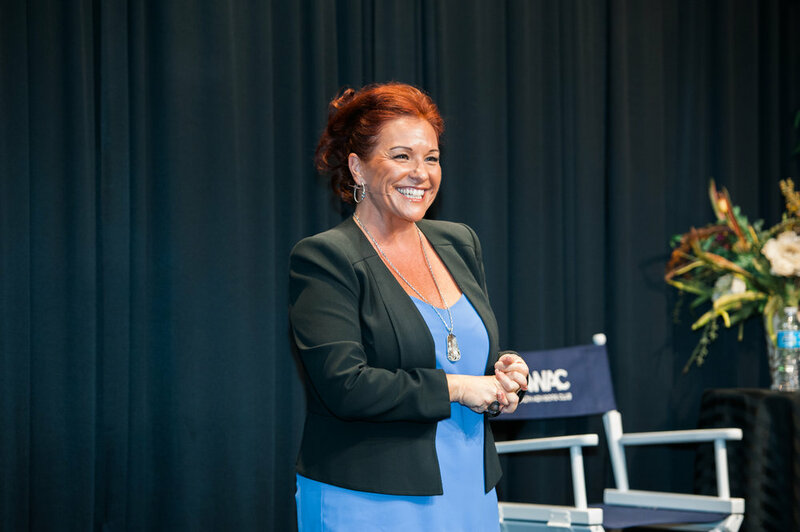 NWAC is the brain child of decades of experience running multiple successful businesses. Education is a key but only one key. The club is focused on bringing all the keys under one roof. Many resources are necessary to get real estate deals done. Contractors, realtors, funding sources, title, escrow, experienced investors and the power of collaboration. Countless people have been able to become successful investors through the club model they have developed. Encouraging and empowering everyone at the club is a huge resource. The club meets monthly and continues to train its members over and over. Not in a hotel, not taught by a big-name guru, real people, doing real deals, in a local office. A dream Melina and Dave had, has now become a reality. Melina has developed a yearlong mentorship program in real estate investing. She uses her vast experience to draw the very best out of people. A large portion of the individual one on one time she dedicates to each student in her mentorship is geared towards personal development. Those fortunate enough to spent this time with Melina are left with an experience second to none. Call (951) 729–5659 or reach out using this form.